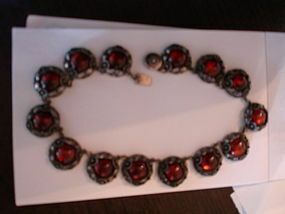 Wonderful Heavy Vintage NE From Denmark Sterling Silver and Amber Necklace measuring appx 15 inches long total, wearable about 14.5 inches and 1 inch diameter. Weight is 96.4 grams. Hallmarked Sterling Denmark NE From 925 S. Fabulous.